Cantega Technologies has been successfully producing and selling the Greenjacket product line of custom-made, precise-fit cover-ups for substation equipment since 2005. Made using a proprietary process and materials, Greenjacket covers provide an effective solution for animal and bird contact with power equipment in the substation. Building on the success of the Greenjacket product line, Cantega Technologies held the official launch of a new line of protective covers at DistribuTECH 2016. Billy Huard, president of the new product line coined as Reliaguard, stated, “Our customers really pushed us to get into the distribution space with custom cover-ups,” which is exactly what the Reliaguard line does. Interestingly, with nearly 500 exhibitors at DistribuTECH this year, only Reliaguard provided solutions for the prevention of power disruptions and equipment damage caused by bird, animal and reptilian equipment contact. Reliaguard had an early release in California with a distribution emphasis about a year ago. Reliaguard’s CEO Brent Stankowski saw the niche for custom cover-ups in the U.S. and tapped plastics experts with 50-plus years of materials experience to make it happen. Reliaguard recognized there are covers available in the market, but few, if any, providers have the background learned through the successful Greenjacket experience to provide precise fit cover-up in the distribution sector. Marty Niles, founder and president of Cantega Technologies, the parent company to Reliaguard, learned the needs of the industry the old-fashioned way. He worked in the business as a contractor and utility lineman on transmission and distribution equipment for 25 years. Marty personally witnessed the effects of bird and animal contacts to electrical equipment and saw that utilities and customers accepted such failures as unavoidable. Billy Huard, a former professional hockey player, has been a marketing and brand manager in several industries. For more than 15 years, the friendly and outgoing former NHLer (Edmonton Oilers and Dallas Stars) has been honing his skills for informing and inspiring customers regarding technically advanced products. Billy brings this expertise to his present role as president of Reliaguard. The Reliaguard product line stands out as custom product coverage for all types of distribution equipment, including voltage regulators, transformer bushings, lightning arresters, fused disconnect switches, pin insulators, cable terminations and cable suspension clamps. The latest addition to the family of covers is the GreyEEL conductor cover and the EEL Slider for installing GreyEEL covers. The conductor cover is available in sizes from 0.25 inch to 2 inches, in 0.25-inch increments. GreyEEL provides improved protection with a significantly overlapped seam design and material memory technology that exhibits exceptional closure performance. 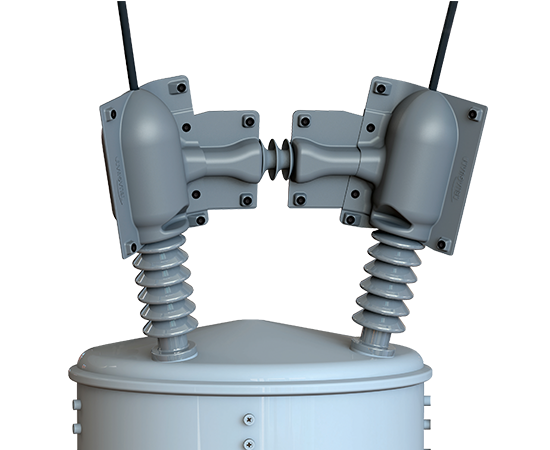 The product can be used on cables up to 20 kV, phase to ground. The entire product line makes use of a proprietary material called Reliatanium, which has a high dielectric rating and is UV stable. A hallmark of Reliatanium is its V-0 flammability classification for the UL 94 test standard. The result is a material that is self-extinguishing and will not drip should a fault occur. While relatively new to the market, Reliaguard products are designed using the same care as the Greenjacket line of products. Contact reduction from 95% to 100% has been observed with Greenjacket users, so performance expectations are very high for applications employing the full line of Reliaguard protection. Reliaguard is seeking IEEE 1656 certification, which the Greenjacket line has met. Installation of the products currently requires the equipment to be de-energized or installed using the rubber glove method. The EEL Slider tool allows rubber glove installation of GreyEEL conductor covers more safely than conventional methods in use for covers today. Reliaguard is working on procedures that will allow future energized installation of equipment covers with the hot-stick work method. The Reliaguard product line of covers does not affect the electrical performance of the equipment on which it is installed. Reliaguard products are designed to be cost competitive for customers requiring quantity applications of a single cover type or conductor cover. Manufacturer specifications, standard design drawings and physical equipment measurements are used to make all equipment cover prototypes. The prototypes are tested for actual fit and adjusted as needed prior to manufacture of the final cover. The process can be completed in weeks. In addition to working with customers on their specific cover-up needs, Reliaguard has also started working with electrical OEM companies to design covers that have a custom fit and are as reliable as the underlying equipment. We live in an era of high customer expectations. Huge monetary and reputation damage may be associated with outages at critical distribution facilities or on the powerline. Reliaguard provides a highly effective reliability improvement tool at a reasonable cost for distribution infrastructure that is at risk from outages and damage caused by wildlife contact.